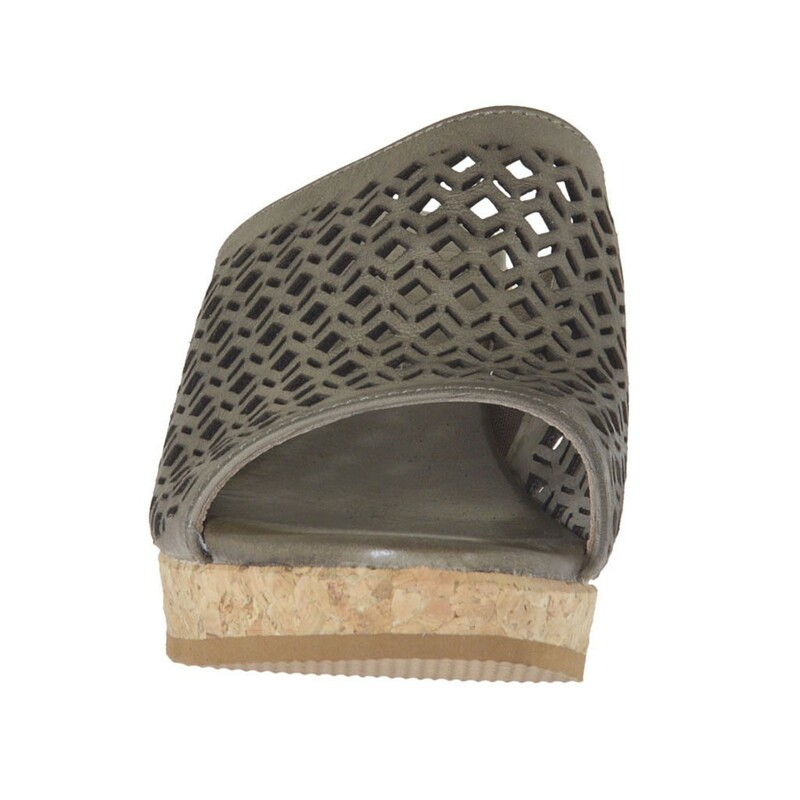 Woman's open mules with elastic band and cork wedge and platform, 6 cm. 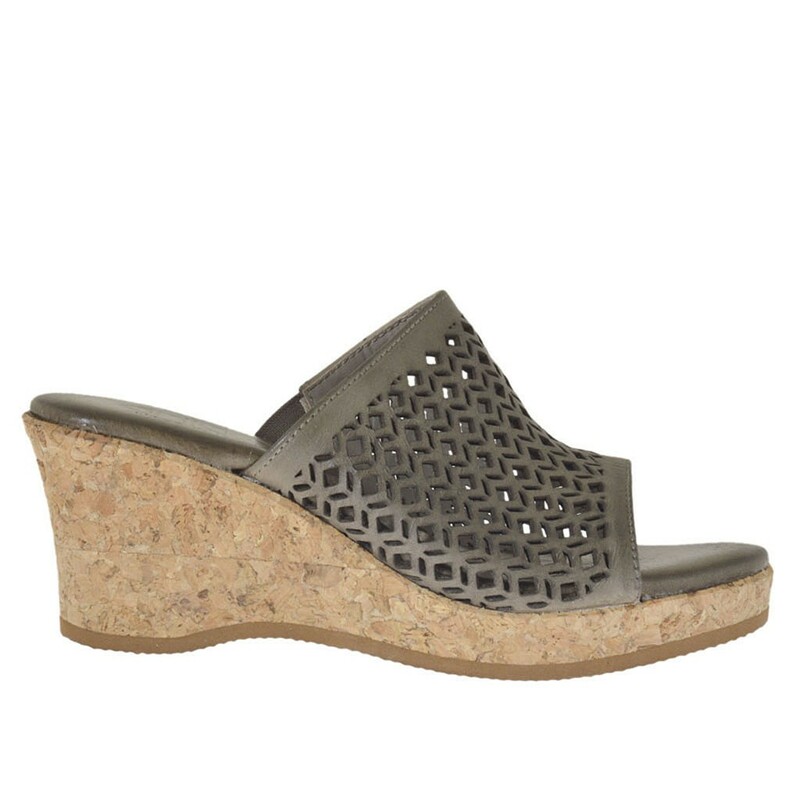 high wedge and 1 cm. 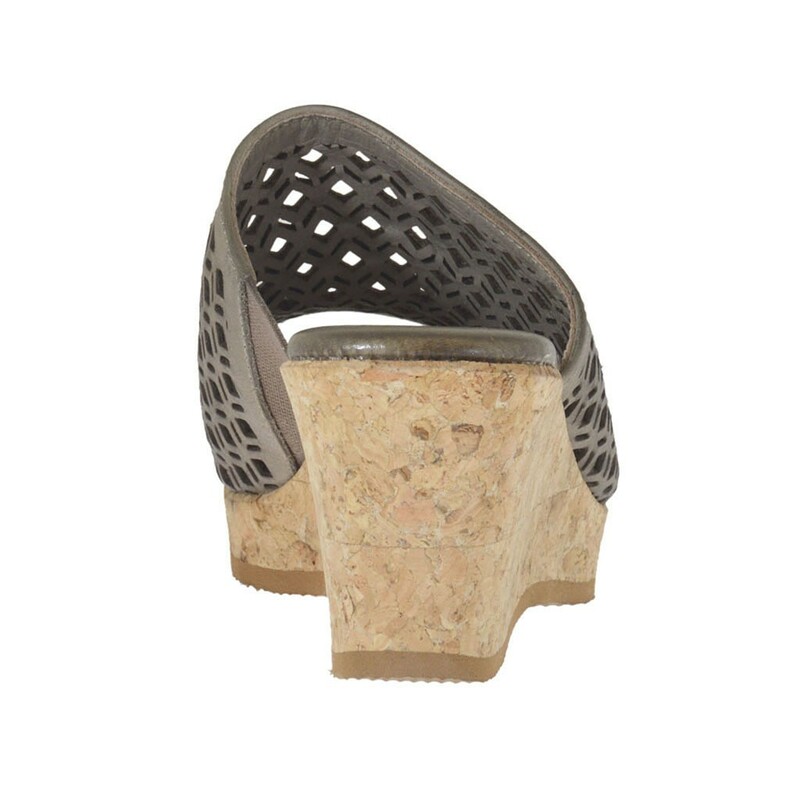 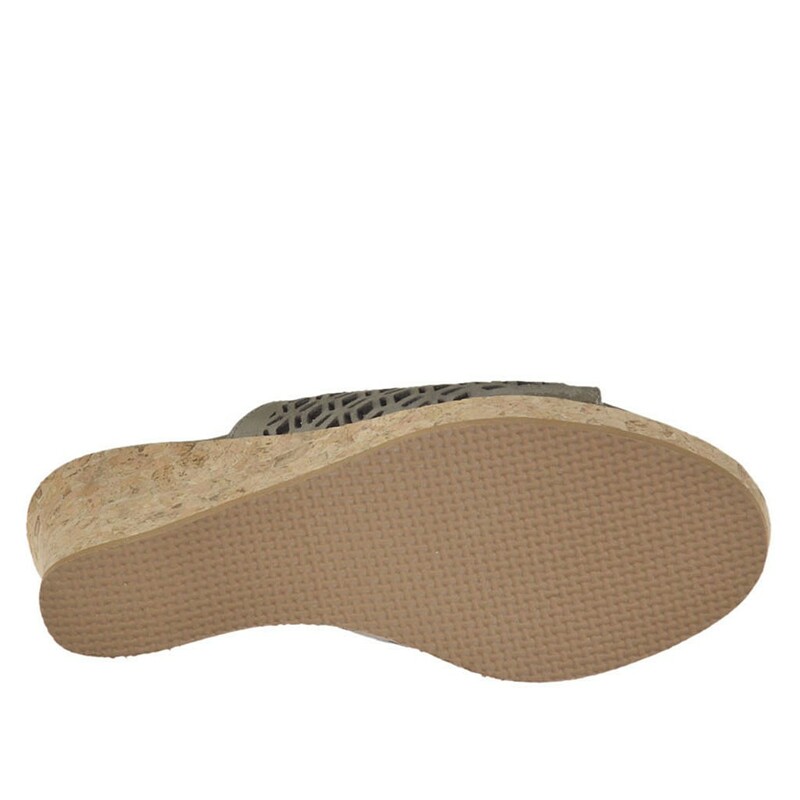 high platform, in pierced taupe leather, rubber sole, leather lining. Available in small and large sizes.